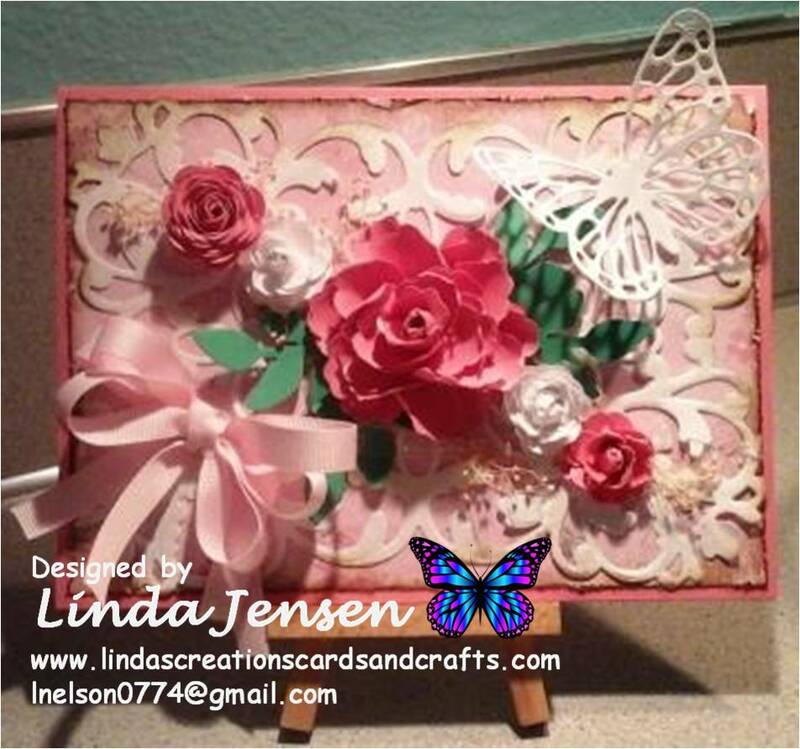 I made this beautiful card with my Stampin' Up! Blossom punch, Cricut Flower Shop cartridge, a small flower punch, a Stampin' Up! Secret Garden Framelits die, a Stampin' Up! Butterfly Thinlits die, a Fiskars Flourish die, Stampin' Up! Soft Suede ink and baby's breath. I really like how it turned out. The flowers are really pretty and I love the shabby chic look.